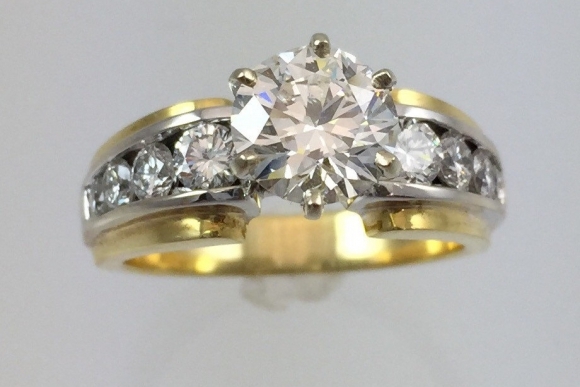 This elegant ring is set with one round brilliant diamond weighing 1.30 carats. The diamond grades VS2 J-K. 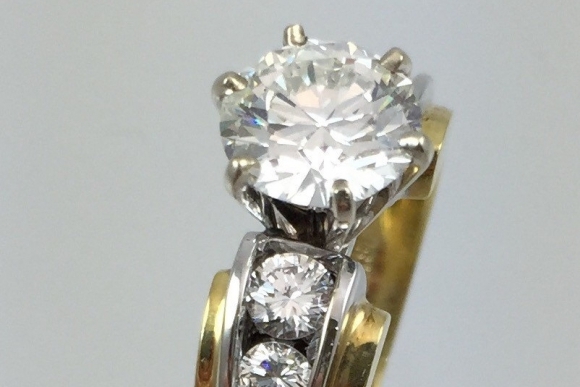 The diamond is accented by eight channel set graduated round brilliant diamonds weighing .67 carat. 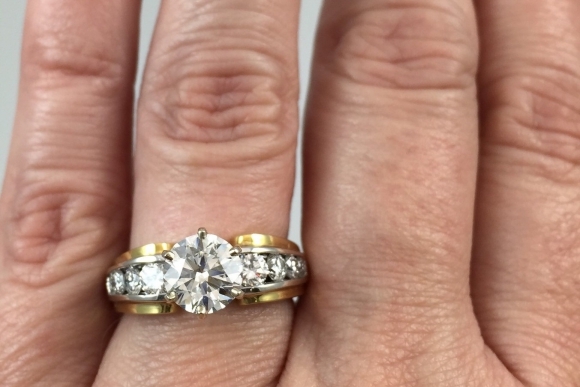 The clarity of the center and side diamonds is VS1 GH. 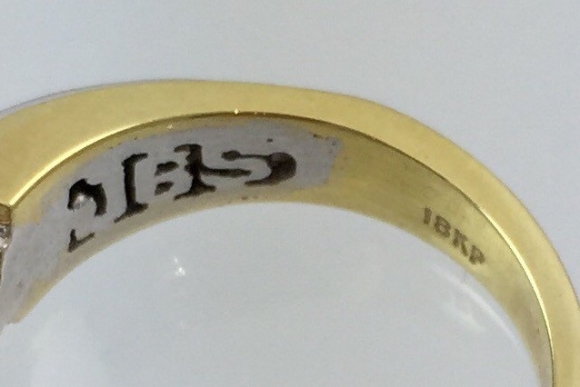 The ring is designed by JB Star. 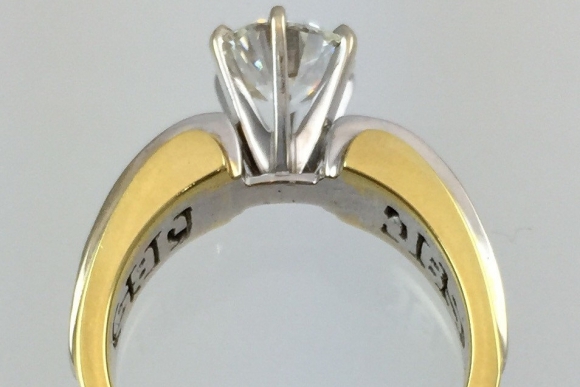 The ring is a size 6 3/4. Sizing is complimentary. Very good condition.